If interested in ServSafe classes, please call for details. Carrying a wide range of restaurant supplies for restaurants, bars and hotels in Bakersfield, Fresno and Visalia. We are pleased that you have decided to visit our restaurant supply website and hope that you will find the information or product that you need. 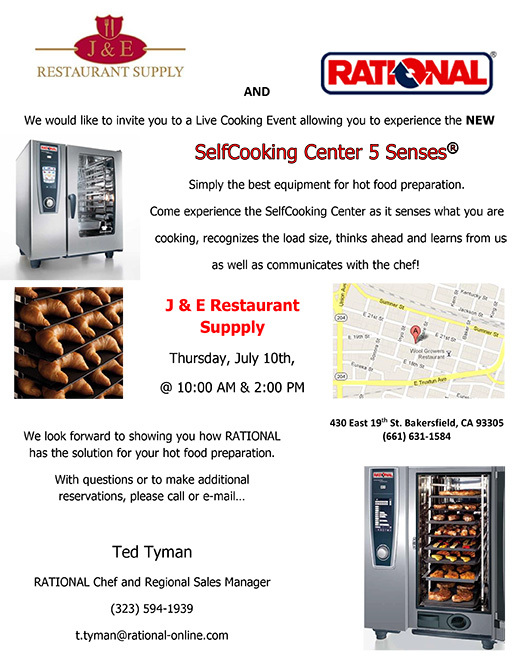 J & E has been in business for over 20 years and has sources for all types of cooking equipment, refrigeration, utensils, serving pieces and almost any item you need for your kitchen. Whether you need ice makers, an economy stove or a high end refrigerator for your restaurant, bar or hotel we will be able to help at very reasonable pricing.